Agriculture, Rural Economic Affairs, Livestock Development, Irrigation and Fisheries & Aquatic Resources Development Minister P. Harrison responding to the Leader of the Opposition’s queries raised in Parliament on Tuesday, said that the Government has taken necessary action to prevent the further spread of the Fall Armyworm (Sena Caterpillar) epidemic through the use of pesticides and natural pesticides, which will help to terminate the caterpillar and its eggs both at the same time. Minister Harrison confirmed that a Special Task Force is now established under President Maithripala Sirisena and all relevant state institutions,including the Ministry of Agriculture are working closely to find a better and faster solution to terminate the Fall Armyworm. “The Fall Armyworm is not a new pest and it was initially detected in the United States and eventually in other parts of the world. The Fall Armyworm moth can travel over 100km radius within a single night and is able to fly any direction. The Fall Armyworm was detected three months ago in Ampara. The Department of Agriculture has taken action to control the spread of the Sena Caterpillar. According to estimates, the epidemic has damaged 20% of the total corn cultivation,” Minister Harrison said. 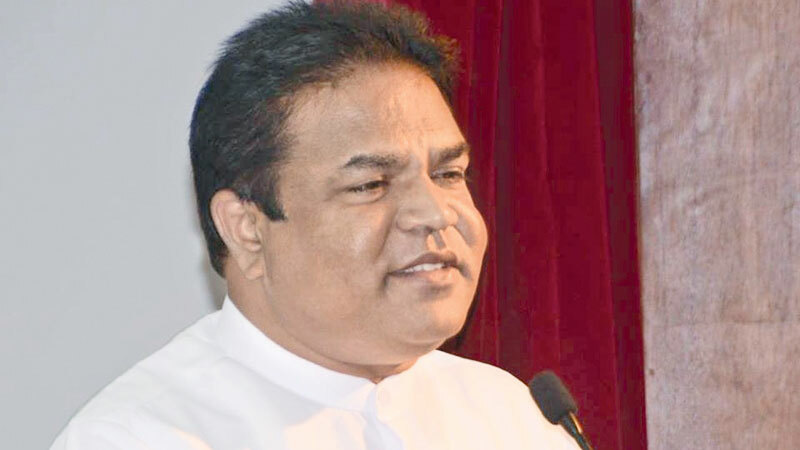 The minister rejected allegations that the Fall Armyworm had been brought to Sri Lanka in shipments of corn seeds imported by multinational companies. He said Rs.120 million was allocated to find a solution to the issue in addition to the Rs.8,500 million allocated for the Ministry from the Budget 2018. He also noted that compensation for crop damages would be paid to affected farmers within a ceiling of Rs.40,000 per acre. Meanwhile, MP Ven. Athuraliye Rathana Thera suggested natural remedies such as powdered Kohmba (Neem) seeds powdered and sprayed using the same methods used for chemical pesticides. He said there is a farm of over 500 acres in Polonnaruwa which uses this natural pesticide and this farm had not been affected by the Fall Armyworm.